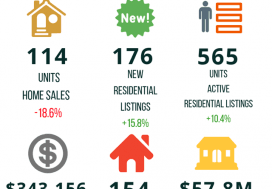 With record breaking sale prices in the GTA sending a ripple effect up to Grey County, competitive bids and a dramatic drop in inventory of homes for sale, there’s no doubt that we are smack dab in the midst of a Seller’s Market. And that can have a dramatic impact on the way houses are being bought and sold. I contributed to an article about navigating a Seller’s Market in an edition of On The Bay Magazine last year and I think the same principles hold true right now. Here’s what you should know about a Seller’s Market. The housing market is cyclical and conditions can change quickly. Yes, we’re in a seller’s market now, but that could change. Interest rates have been at historically low levels for a few years but they’ll eventually have to rise again. Just this week we heard about political ideas that hope to influence the housing markets. Both of these factors are key in today’s real estate market and could cause dramatic and abrupt changes to market conditions. Sellers hoping to take advantage of current conditions should be prepared to act while the market is in their favour rather than waiting until they’ve got every job don the To-Do List done. Getting a house ready to show is definitely important but you don’t want to take so long that you miss your window of opportunity. Focus on the most important jobs first and leave the purely cosmetic ones for the bottom of your list. Buyers will likely want to change things like paint colour or flooring once they take possession anyway. Education and market awareness are key. Hesitation can result in the loss of your dream property, so buyers need to be prepared to act quickly. Getting a mortgage pre-approval from your lender will help you to understand your budget and any issues you may face in securing a mortgage. 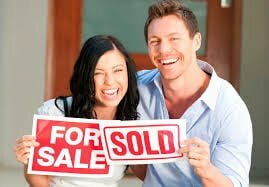 Deal with those obstacles now so that they don’t prevent you from making a purchase when you do find the property you’ve been looking for. The goal is to get yourself in a position so that when that ‘dream property’ does become available, you’re ready and able to act right away. Here in Grey County we’re still seeing offers with conditions. 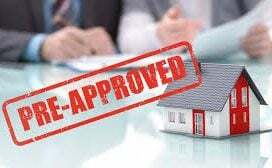 You don’t automatically have to forfeit a home inspection or waive financing right away, for example, but you should have most of the details worked out before you get to the offer stage so that you’re not giving the seller any opportunity to open the door to anyone else. 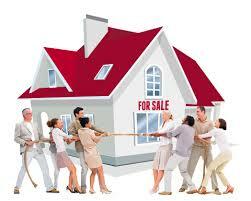 Buyers also need to be familiar with market values and recent comparable sales in the area they’re considering. It helps to be educated on the area, amenities and future development. As a buyer, you need to be in the best possible position to move confidently and quickly when you find a home that speaks to you. There are definite advantages to dealing with a local realtor who lives and works in the area, knows the neighbourhood well and is aware of details such as municipal bylaws and zoning changes that non-residents could overlook. Making your best offer is more important than ever. In current market conditions, competing offers can occur more frequently and conditional offers can receive more scrutiny. That means buyers have to be ready to put their best foot forward in every aspect of their offer – conditions, closing date, deposit and dollar amount. It’s best to limit your purchasing conditions to only those that are truly necessary and increasing the deposit amount can assure the seller that you’re serious about the purchase and can help to make your offer more attractive. 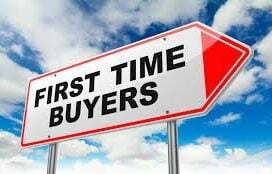 Properly priced homes are in great demand. Ready to list your property and make a killing? A seller’s market DOES NOT mean the sky’s the limit on your asking price. Getting greedy and over-inflating your asking price can result in extended days on the market, eventual price reductions, or even the loss of a prospective buyer, ultimately resulting in having to sell for a lower dollar amount than a properly priced home of equal value. Just because you have a dollar amount in mind does not mean it’s a realistic number that the market can bear. Get a few market evaluations from local real estate agents to help you arrive at a reasonable list price. Trust the people who sell property for a living to give you an accurate idea of how much you can expect to get for your property. If you’re not happy with the prices you’re hearing, you’re free to choose not to sell after all. Now is not the time to get lazy or comfortable. The fact that we’re experiencing a seller’s market doesn’t guarantee your home will sell. It’s still vitally important to make sure your home shows to its best advantage in order to get it sold quickly and at the price point you want. A well-presented home will still bring you maximum dollars, so it is still necessary to continue to pay attention to detail and keep your property clean, tidy and looking sharp.